How can you help Innocence Project Northwest in our mission to free the innocent and prevent wrongful convictions in Washington State? 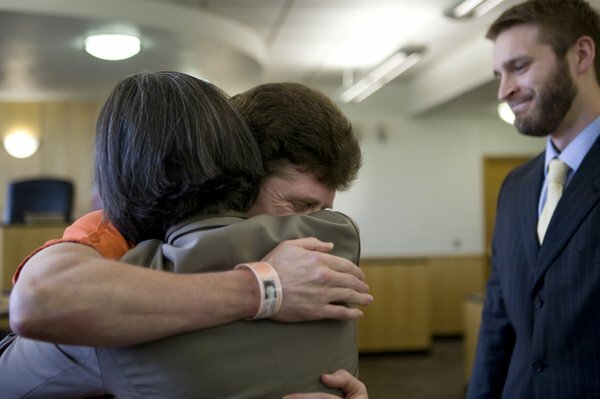 The path to exoneration is long and costly - and gifts of every size help. Donations help us cover costs required to request documents for investigation, visit clients in prison, obtain DNA testing, consult forensic experts and more. Sign up for our email list to get the latest information about cases, events, volunteer opportunities, and more. We promise not to overload your inbox. IPNW is a small organization, with a staff of seven - we have legal and non-legal volunteer opportunities. We know that life is busy and your time is valuable. If you're interested in helping us free innocent prisoners in Washington as a volunteer, we promise to use your time wisely. Take a look at our volunteer page and fill out the form that matches your interest. Promote IPNW on Facebook and Twitter. Use the #IPNW and #FreeTheInnocent hashtags. Share our stories with people around you. Host an event to help build awareness of wrongful convictions and how everyone can help correct and prevent them. Help us expand the network of people who will join us to help free the innocent and prevent wrongful convictions. Learn about the innocence movement and the most common contributing factors to wrongful convictions in our state and elsewhere. The more you know, the more you can advocate for change. We have some great resources to help you get started!